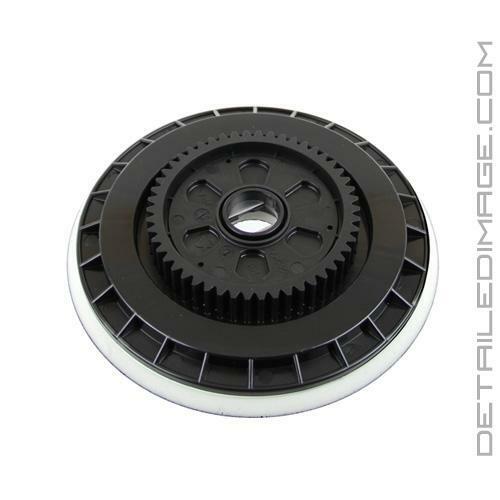 DetailedImage.com was the first detailing store to carry the innovative Flex XC 3401 VRG and we are proud to also offer the Flex XC 3401 VRG backing plate in two great sizes, 5 1/2 (5.5") and 4 3/8 (4.375"). This backing plate features a hook and loop backing and it is made by Flex so it's specifically designed to fit your Flex XC 3401 VRG perfectly! To remove the old one and install the new one you just need a hex wrench and with a few twists you are all set. Just add your favorite pad to the buffer and you'll be getting better results in no time at all. We recommend using the 6.5" pads with the 5 1/2 (5.5") size and the 5.5" pads with the 4 3/8 (4.375") size. It is always a good idea to keep a spare backing plate on hand, so grab yourself a XC 3401 VRG backing plate so you are ready for anything! Perfectly sized for the LC Force Hybrid pads; easier to use 5.5" pads for those tighter spaces, recessed body lines. Flex this is a game changer, 5.5 pads less walking, tighter spaces! Flex made a lot of us happy by producing a backing plate enabling detailers to use 5.5" pads. It seems to make a world of difference, and I'm glad this option was made available to users of this excellent buffer.